A dry, hacking cough can really affect your child’s day and night so they can’t be at their best. At Similasan, we understand you want your child to feel better and so we created Kids Cough Relief cough syrup using homeopathic active ingredients that are 100% natural. 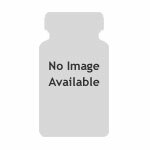 Each of the ingredients was specifically chosen to relieve the symptoms of a cough including dry cough, spasmodic cough, hacking cough, hoarse throat, and nighttime cough. Because the ingredients are homeopathic, they are safe and gentle. 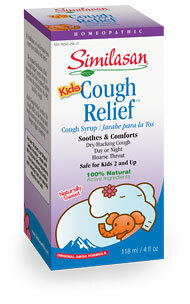 Kids Cough Relief is also alcohol-free, dye-free, and tastes great so it won’t be a chore to get your child to take it. Let Similasan help your child get back to being 100%, which makes everyone feel better. Temporarily relieves symptoms of dry/hacking cough, and hoarseness due to colds.